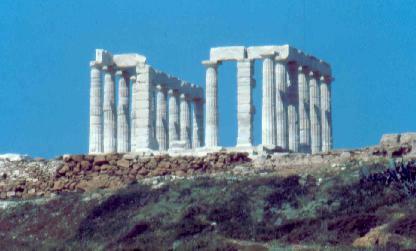 On the southernmost point of land on mainland Greece lies one of the most beautiful temples in the world. Perched high on a cliff overlooking the blue sea with no other buildings to block the view, this is the perfect place to while away a warm afternoon. 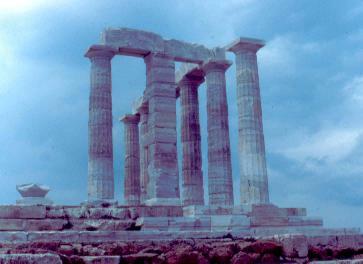 The stark white of the Temple of Posidon, built in the 5th century B.C., stands out against the blue sky. 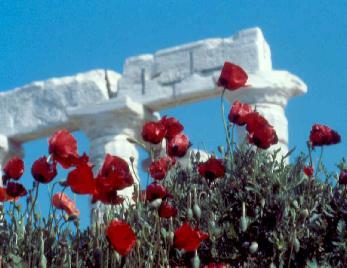 Bright red poppies contrasted against the temple. Closeup of the columns reaching for the sky. 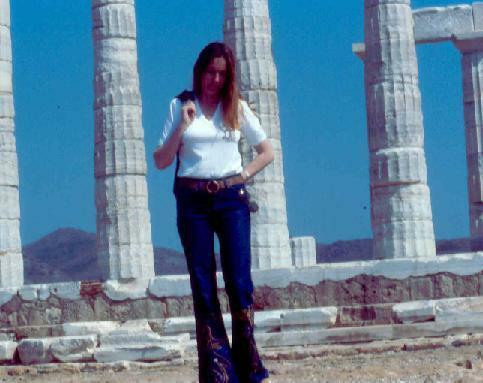 Rosalie in front of the columns on a quiet afternoon outing.